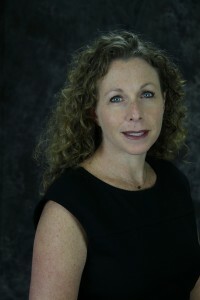 Maureen Kindel, Ed.D. is a founder of Kindel Gagan, a public affairs consulting firm comprised of principals formerly with the Los Angeles office of Rose & Kindel. 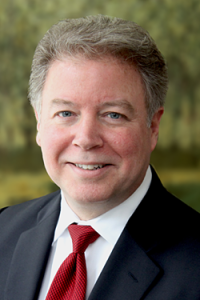 Dr. Kindel brings to the practice more than 30 years of government, business, and civic experience. She is thoroughly familiar with the organizational and regulatory process of governments and institutions throughout the Los Angeles region, including Los Angeles County, the City of Los Angeles, schools districts, regional authorities, universities, business and civic organizations, and community interests. She is an advocate of public/private partnerships aligned with the public interest. Throughout her career, Dr. Kindel has navigated various constituencies and distinguished herself in prominent public and private sector leadership positions, most notably, her appointment by Los Angeles Mayor Tom Bradley as President of the Los Angeles City Board of Public Works. Dr. Kindel was the first woman in the history of the city to preside over this half-billion dollar agency with over 6,000 employees providing daily essential city services and ensuring well-managed complex contracting arrangements. She set the tone for the involvement of minority and women-owned businesses in public contracting. She was a founding director of the Los Angeles Business Federation, the Los Angeles Business Council, and the Pacific Council of Foreign Relations. She currently serves on the Executive Committee of the Los Angeles Chamber of Commerce and the Executive Committee of the International Foundation for Election Systems (IFES), which is a worldwide elections assistance and democracy building organization working in 26 countries, including Iraq, Afghanistan, and the Sudan. She is Secretary of the 1984 Olympic Foundation, the repository of the 1984 Olympic proceeds, whose mission is sports and youth. She is a former Director of the Southwest Water Company. Dr. Kindel has embraced public education as a professional and personal passion. Her clients have included L. A. Unified School District Superintendent Roy Romer and the President of the California Charter School Association, Caprice Young. She has served as Chair of the L.A. Chamber Education Committee and presently chairs the L.A. Business Council’s Education Committee. Additionally, she has helped design, organize and lead three major Education Summits in Los Angeles, integrating participation by business and civic leaders, educators and public officials in examining both the current status and the acute needs of the public education system. Kindel is a Board Member of the George Washington University Graduate School of Political Management’s Council on American Politics in Washington, D.C. She serves as a Regent Emeritus of Loyola Marymount University (LMU), Chair of the Board of Visitors at the LMU School of Education, and as a strategic advisor of the LMU‘s Family of Schools program. Kindel has a Masters of Education degree and was recently awarded her Doctorate in Education from Loyola Marymount University. Her dissertation is entitled, “The 1992 California Charter School Law: Its History & Unintended Consequences” is being revised for publication as a book. In addition, she has recently served on the Transition Committee of California Superintendent of Public Instruction Tom Torlakson, and on his Teacher Quality Subcommittee. 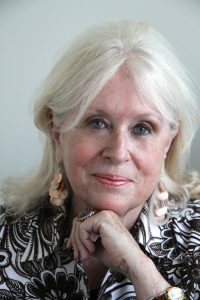 In 2009, Maureen Kindel was recognized by the Los Angeles League of Women Voters with their prestigious Founders’ Award. Dr. Kindel also had the honor of working with President Nelson Mandela when he was released from prison and when he was elected President of South Africa. Michael S. Gagan designs, manages and implements public advocacy strategies and is a policy advisor to many public agencies and jurisdictions. Michael is a veteran of 20 years of legislative and administrative service with the State of California. As a legislative consultant, his specialties included agricultural and environmental policy. In 1975, he was appointed Chief Deputy Secretary of State by Secretary of State March Fong Eu. He is credited with developing and implementing California’s voter-registration-by-mail program and administering the most sophisticated election results reporting system in the country. In 1983, Michael was appointed Chief Deputy State Treasurer by Treasurer Jess Unruh. His tenure coincided with the substantial increase in the powers of that office. He administered the office and represented the Treasurer on 35 financing authorities as well as the governing boards of the Public Employees’ Retirement System and the State Teachers’ Retirement System. While serving as Chief Deputy Treasure, he also negotiated the sale of $8 billion in securities. 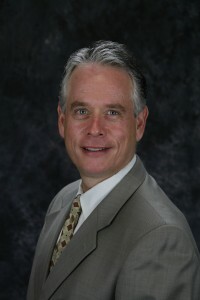 Michael was a principal with Rose & Kindel from 1988 through 2009. He frequently lectures on government and politics, and for many years has taught the Politics of Development at the Graduate School of Real Estate Development at the University of Southern California. He is highly regarded for his expertise in public finance and taxation, state and local contract procedures, transportation and water policy and water history. He is a member of the City of Los Angeles Business Tax Advisory Committee as well as the City Commission on Revenue Efficiency. He holds a Bachelor of Arts Degree in Political Science and a Masters Degree in Public Administration from the University of California, Davis. He is a member of Lakeside Golf Club. Jacqueline Brandes is the Office Manager for Kindel Gagan, a role she performed for 23 years at Rose & Kindel. She runs the business side of the firm. Among many other things, she processes all required lobbyist and lobbyist employer reports for Kindel Gagan, as well as for our clients, for the various jurisdictions in which we practice. Jacqueline and her husband, Bryan, are members of the USC Associates, a philanthropic organization that is dedicated to the advancement of knowledge and USC’s premiere academic support group. She holds a Bachelor’s Degree in Public Administration from the University of Southern California. Guy “Steve” Catalano is a founding principal of Kindel Gagan. He has over 40 years of experience in Government Affairs, Land Use and Real Estate Development. He began his career in local government in 1975 working for then-Los Angeles City Councilwoman Peggy Stevenson. He served as liaison to the Los Angeles City Police and Fire Commissions and Departments as well as special liaison to the City Council’s then-named Police, Fire and Public Safety Committee. He was also special liaison to the Community Redevelopment Agency (CRA) during the initiation and implementation of that agency’s oversight of development in the Hollywood area. Part of his duties included oversight of 13th Council District development projects. This required a working knowledge of all of the major departments of the City. Mr. Catalano also was responsible for citywide planning issues coming before the Council’s Planning and Environment Committee. From these assignments, Steve developed an acute knowledge of the City’s planning and land use requirements and has put that knowledge to work representing clients for more than 40 years on land use, development and entitlement matters. Steve has unique and extensive knowledge and experience in land use and real estate development entitlement. He represents clients in every aspect of development from initial due diligence research through multi-departmental approvals and entitlements, all the way to final certificates of occupancy. Clients who have come to depend on Steve include some of the largest and most prestigious real estate development firms in Southern California. He has also served as an expert witness in the area of land use. 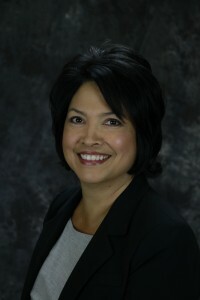 Steve currently sits on the Board of Directors of the Valley Industry and Commerce association (VICA) and represents Kindel Gagan as a member of the Hollywood Chamber of Commerce. 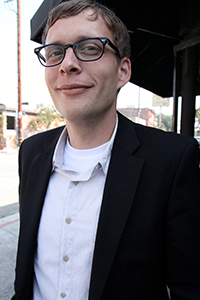 He also serves on the City of Los Angeles’ Planning and Zoning Code Reform Workshop. Steve was born and raised in Los Angeles. His father was the successful actor Guy Williams, whose most memorable roles included Zorro in Walt Disney’s Adventures of Zorro, and Professor John Robinson in the classic Lost in Space television series. Steve has numerous television commercials in his own list of credits. He is active member of Screen Actors Guild, under the name Guy Williams, Jr. and proudly represents his late father at memorabilia shows and conventions around the country. Thomas Flintoft is a founding principal of Kindel Gagan, with over 25 years of experience representing and advising a broad range of clients to achieve effective public affairs and policy outcomes. Before founding Kindel Gagan, Tom was a principal with Rose & Kindel for 17 years. Tom has a thorough understanding of the intricacies of government policies and procedures, politics, business and community relations, and has provided strategic guidance and representation for clients seeking public agency contracts in transportation, telecommunications, information technology, waste-to-energy, concessions, construction and non-profit services. Tom has a comprehensive perspective on regional issues and leaders, policies, challenges and goals that affect the Los Angeles region. 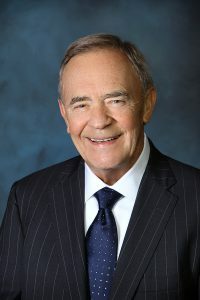 He has successfully represented clients before a variety of Los Angeles City and County departments including Los Angeles World Airports, Los Angeles Department of Transportation and the Los Angeles Department of Water & Power, and has particular expertise on aviation matters and government procurement policies and practices. Tom has additional experience in property leasing and management with the Riley Pearlman Company and Shurgin Development Company. Tom also served for the first three years of the Los Angeles Marathon as the Sports Director, recruiting and coordinating elite runners from around the world. Tom is a founding member and Past Chair of the Los Angeles County Business Federation, a grassroots alliance that unites over 110,000 businesses. Tom also serves on the Board of the LAX Coastal Area Chamber of Commerce and was Chairman of the Chamber’s Board in 2009-10. He is a Board Member of the Los Angeles Business Council, an important link between business and city government with particular focus on education, housing, transportation and sustainable development policy. Reflecting his commitment to civic and community engagement, Tom is the founder and a former Chair of the Alumni Association of Leadership LA, now part of the Southern California Leadership Network dedicated to nurturing future regional community leaders. Tom has been a Director on the Westchester Playa Neighborhood Council since 2007. Tom also served as Parent Liaison in the modernization and renovation of his community’s distinguished Kentwood Elementary School. Tom received his Bachelor’s Degree in Economics from Fordham University in 1984 and was captain of the Fordham tennis team. Married to Ingrid Flintoft, with two children, Chelsea and Stefan, they have lived in the community of Kentwood in Westchester for the past 25 years and are members of St. Anastasia Parish. Chelsea is a graduate of Santa Clara University and Stefan is currently attending UCLA and playing on the football team. Samantha Martinez has over fifteen years of experience in advocacy, community engagement and government affairs. Prior to starting Kindel Gagan, Samantha was a principal with Rose & Kindel from 1996 through 2009. Samantha has a breadth of experience managing a diverse combination of clients in industries and interests ranging from entertainment and education to public works and technology. She represents clients before multiple jurisdictions in Southern California and has experience working with officials at all levels of government. On behalf of both public and private sector clients Samantha develops and executes comprehensive public affairs programs to gain support for a broad range of issue areas. In addition to her work, Samantha is involved in many civic and non-profit activities. Samantha serves as Chair of the Board of Homeless Healthcare Los Angeles, sits on the executive board of Los Angeles Conservation Corps, and is on the board of the Century City Chamber of Commerce. She a is a past-president of the Los Angeles County Young Democrats and is a member of the Valley Industry and Commerce Association, the Los Angeles County Business Federation and the Greater Los Angeles Area Chamber of Commerce. She is a graduate of the Anti-Defamation League’s Salvin Leadership program and is an alumna of the Leadership LA Program of the Los Angeles Business Council. A former White House Intern, Samantha received her Bachelor’s Degree in Political Science from the University of California, Santa Barbara and her Master’s Degree in International Political Economy from the University of Southern California. Samantha lives in Cheviot Hills with her husband David and their two children. Jenelle Henderson is the first voice clients hear and the first person visitors see when they arrive at the offices of Kindel Gagan. 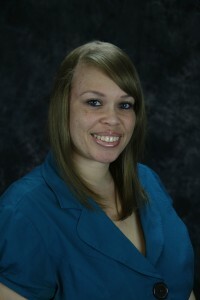 Jenelle joined the company as its Administrative Assistant. In addition to receiving guests and ensuring calls are routed efficiently, she performs a wide range of responsibilities including scheduling meetings, preparing correspondence, maintaining the company’s database and coordinating communication. Jenelle also provides research, data management and other critical support functions. Prior to Kindel Gagan, Jenelle worked in both the media and automotive fields. She holds a Master’s Degree in Public Administration, and a Bachelor of Science in Communication. She has been assisting corporate professionals since 1999. Tanner is a board member of the public art organizations Art Share LA and formerly served on the board of the Do Art Foundation & Heidi Duckler Dance Theatre. He serves on the Exhibits Committee of A+D, the Architecture & Design Museum, and as a technical advisor to the experimental opera & theatre companies, The Industry & The Wilderness. Tanner is currently helping secure permission from the City of LA for a project to bring sound art to LA’s remnant Cold War-era air raid sirens. Tanner has served as an elected Director of the Downtown Los Angeles Neighborhood Council and on boards and committees of several professional organizations, including the Urban Land Institute, the American Institute of Architects | LA, and the LA Section of the American Planning Association.